Keep cool with our selection of raw, dairy-less ice creams, popsicles, sorbets, etc. With temperatures rising you may find yourself craving lighter foods, such as raw fruit, smoothies, and salads. And for dessert ice cream is a natural choice. 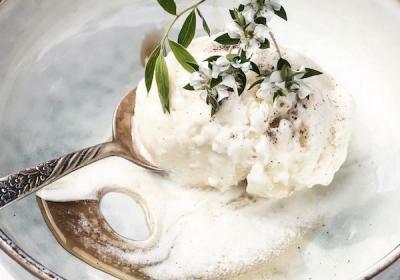 This ice cream by Iselin Amanda Støylen of A Green Kitchen is ridiculously simple to make and tastes heavenly. Beautifully served on its own, or together with berries and a drizzle of maple syrup, with chopped nuts and melted chocolate on top, with pancakes and waffles, or if you're really looking to take it next level: served in a glass with a shot of espresso poured over.